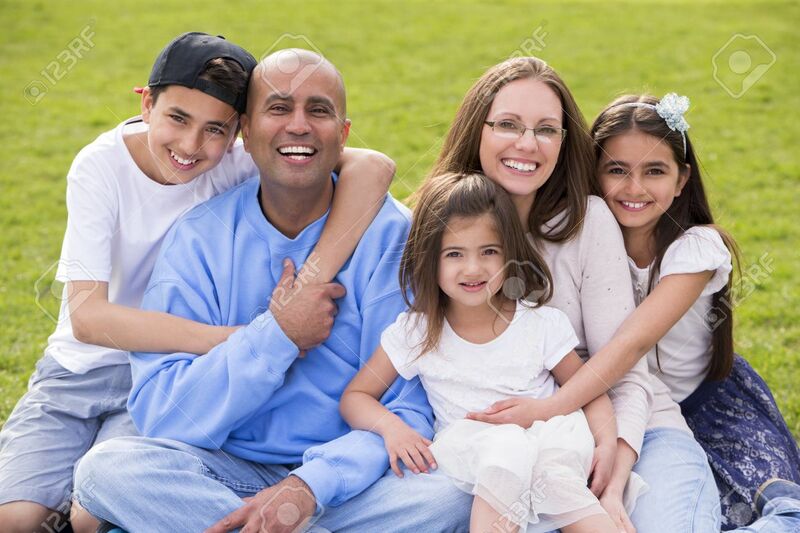 A Portrait Of A Mixed Ethnicity Family, Mum And Dad Have Three Cute Children Between The Ages Of 4 To 10. They Are Sitting Down And Smiling Happily At The Camera. Royalty Free Fotografie A Reklamní Fotografie. Image 43374615. Reklamní fotografie - A portrait of a mixed ethnicity family, mum and dad have three cute children between the ages of 4 to 10. They are sitting down and smiling happily at the camera. A portrait of a mixed ethnicity family, mum and dad have three cute children between the ages of 4 to 10. They are sitting down and smiling happily at the camera.